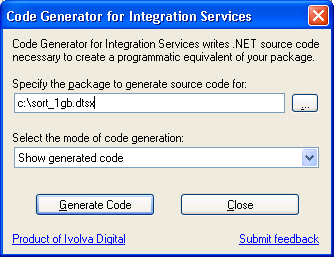 To begin using Code Generator, download and install the available MSI package. Start the program via the Start menu, select your package file and click Generate Code button. Please send feedback. Beta version | This is version of the tool has some limitations. If you run into limitations in your usage cases, please let me know as this will help prioritize list of improvements.